I’m a little late to the K-Beauty game and I need to confess why. The depth of information about this trend, which frankly at one point, felt more like a lifestyle choice, intimidated me. There are an endless amount of posts online exploring K-Beauty from every angle including to how it differs from the Western approach, to cultural appropriation, how it has changed lives, and perhaps most notoriously, the 10 to 25 step routines that I once believed all K-Beauty advocates were contractually obligated to. I wasn’t particularly against K-Beauty, I just didn’t think it was for me. Then I received a bunch of K-Beauty products and they sat under my bathroom sink for a few weeks. I actually avoided them! But when I started to use them, I realized that perhaps I had the wrong impression of K-Beauty all along. There’s nothing wrong with a traditional K-Beauty routine, but 10-15 steps isn’t practical or remotely doable for many of us. It’s also not necessary. You can still reap the benefits of K-Beauty products just by integrating them into your current routine. To paraphrase Jerry Seinfeld, “What’s deal with K-Beauty?” Try to think about K-Beauty products as time travel so your skin doesn’t age. This is because Korean scientists are said to be so much as seven years ahead of the rest of the world when it comes to developing products that make us look good. Skin care is no joke in Korea. However, while Korea takes it’s r&d very seriously, their approach to packaging is quite the opposite. 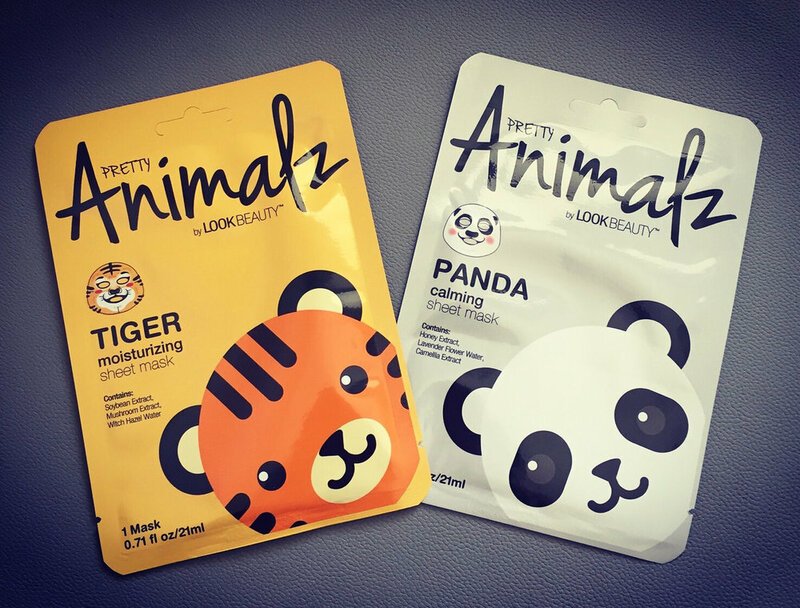 Take Look Beauty’s Pretty Animalz Moisturizing Sheet Masks for example. How can anyone resist using a mask that actually makes you look like a tiger or panda? I wanted to take a picture of myself in the mask, but I was scaring my dog, so I figured it might not be best way to keep you reading the rest of this post. The Panda mask is calming and the Tiger mask is moisturizing. I assume they were formulated this way because if you saw an actual tiger, calm might not be the best way to describe how you feel. Sheet masks are a hallmark of K-Beauty, yet, they have a very western practicality. You never have to wonder if you applied it properly, or used the right amount of product. Then, when you are finished, you just take it off and throw it out. (What’s more Western than being disposable?) Look Beauty’s Pretty Animalz masks in particular stay very contained on the sheet, which helps keep your bathroom clean. (I tend to get facial masks all over my bathroom and I don’t even know how it happens.) Unlike most Western facial masks, Korean sheet masks have a watery texture, almost like a toner. You also don’t need to wash the product off. However, K-Beauty isn’t simply limited to sheet masks. Spa @ Home by MasqueBAR Pore Refining Crème Mask is packaged in an individual sachet, which is sold as part of a three-pack. It contains Coenzyme 10 and anti-oxidants so it will help your complexion get its glow on. This mask isn’t as watery as the sheet masks are, but has a thin texture that dries quickly. 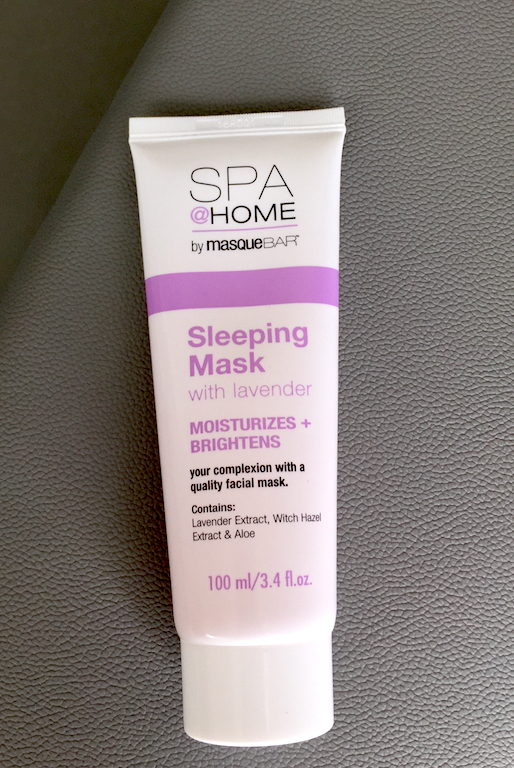 Then there are other kinds of masks, which aren’t really like masks at all, such as Spa @ Home by MasqueBAR Sleeping Mask With Lavender. This product feels a like a satin serum. Scented with calming lavender, the fragrance helps relax me to sleep. I use it instead of serum a few night a week and my skin looks so refreshed in the morning. It’s also far more cost affective than night serums in general. I’ve also loved incorporating MasqueBAR’s Hydro Gel Eye Dark Spot Eye Patch into my regular routine. Packaged in a tub of 30, each patch is made from a material that has the texture of a flat gummy worm. After removing each crescent-shaped patch with a tiny spatula, you apply it to the undereye area and leave it on for 20-30 minutes. The patches really stay put, so you can use it with another mask at the same time. (#multitasking) When you peel it off, you rub in the excess essence (the K-Beauty term for serum-like product), which makes eye cream optional. Like many K-Beauty products, MasqueBAR’s Hydro Gel Eye Dark Spot Eye Patch, contains snail extract and gold. While the thought of using snail extract might not be what you’re used to, it’s everything in Korea.